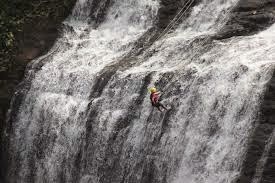 Join the thrill @ waterfall rapelling this Sunday, 17th August 2014 at Dudhivare, Pawna Dam area. No experience necessary, family friendly! It’s time to take traditional rappelling to the next level! 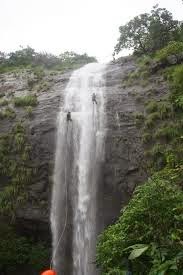 Waterfall rappelling allows you to lower yourself down the waterfall with the spectacular scenery of the Sahyadri Mountains all around you. Enjoy a short, scenic hike into the falls before you scramble to the top of the falls and rappel back down. This is a once in a lifetime experience and we are excited to have brought this adventure to Pawna Dam area. 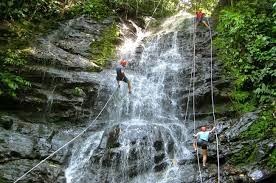 During this adventure, you can sit out any rappels that you are not comfortable with and there is always a walk down option. All rappels are backed-up by a secondary rope and a mountain guide making this an amazing experience with minimum risk. What to Bring:Clothes to get wet in (quick-dry), sport shoes.